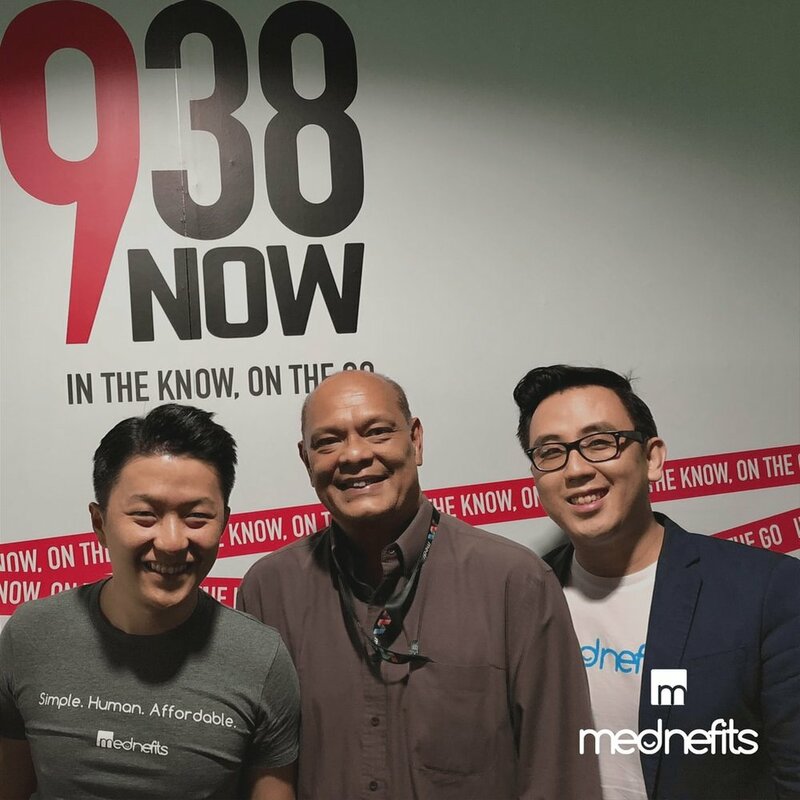 Co-founders Chris Teo and Hadiyanto Wibawa were on air with 938Now. Earlier this month, we had the opportunity to go live with 938Now on The Breakfast Club with Keith de Souza. On the show, Chris and Hadiyanto shared more about the Mednefits story - why it all started, how we help SMEs and what's installed for us in the future. We were introduced on the show as being one of the service providers for the HR Tech Pilot Programme. This grant allows SMEs to adopt digital solutions at an affordable rate. Find out more about the grant here. 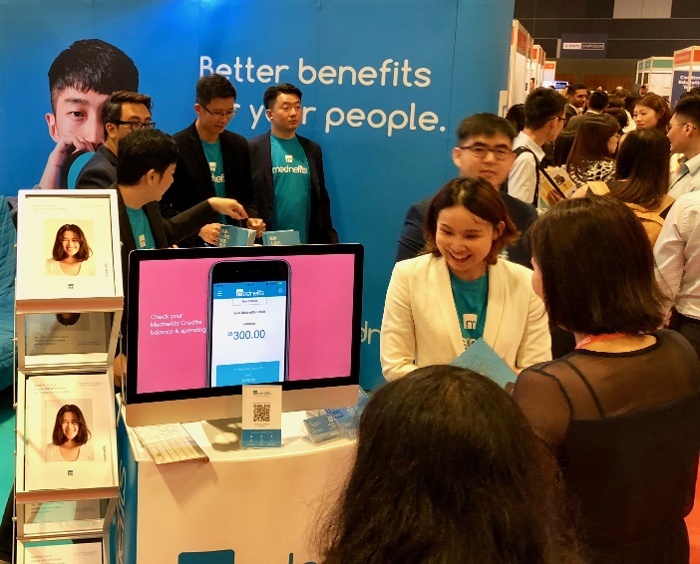 Why are SMEs in Singapore unable to afford employee benefits? How can they overcome these challenges? SMEs do not have the luxury of size to negotiate for corporate rates from insurers or health service providers, and as a result cannot provide benefits for their employees. In addition, many SMEs are still using traditional methods to manage benefits, which can be tedious and time-consuming. The desire to solve these problems and empower SMEs is what kick-started Mednefits. We explained how Mednefits helps to solve the SME benefits problem. Our platform for automating processes like claims and payment, the Mednefits Care Plan (suitable even for SMEs with a few employees! ), and our forward-looking network of health partners are just some examples of how we help to reduce time and money spent on benefits management. Going strong in Singapore, we revealed some of our future plans. Of course, one goal is to be able to reach out to more SMEs and help them provide simple, affordable and human benefits for their employees. Listen to the podcast (embed above) for the full details! As mentioned on the show, get in touch with us on our website for more information! 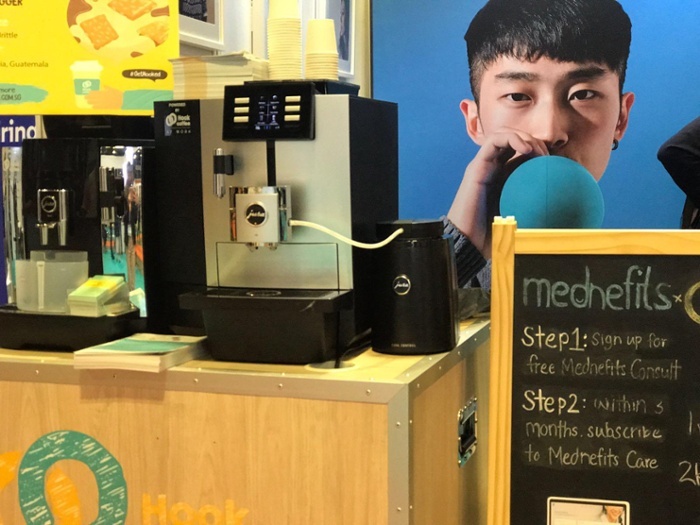 Related: Find out how Mednefits is making affordable healthcare a reality for SMEs in Singapore. The annual event was an incredible experience for us. 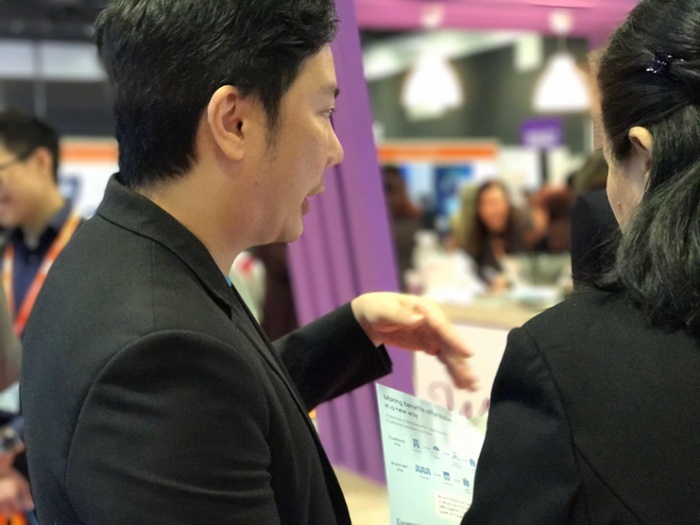 Covering the entire fourth floor and featuring hundreds of exhibitors, it was a good chance to showcase our passion for employee benefits. It was our second time at this event, and we’ve powered up to be bigger and better than the previous year. ...to having our very own fabulous booth! Interacting with thousands of HRs over the course of 2 days has made us realise once again exactly how much we love to help the community overcome challenges and provide better benefits. We met many individuals who shared the same burning passion to deliver only the very best for their people. This time, we had a special collaboration with Hook Coffee. Visitors to our booth got to enjoy a taste of the delicious Hook Coffee. Many employees are regular coffee drinkers and a cup of the beverage can allow them to concentrate better. By providing coffee as a workplace benefit, employers may see an increase in productivity and employee satisfaction. To further understand the needs of HRs and their employees, we conducted a research to learn more about how people perceive their employee health benefits and the usage of technology in their benefits plan. The findings of our research will be made available to let HRs and employers gain more insights into this topic. The booths and stages in exhibition hall were wonderfully set up, so we took the opportunity to film the event grounds as well. If you missed the event, be sure to take a look at the short clip we have put together (see the video at the top of this post!). In the video, we had a short interview with Mednefits founders Chris and Hadi, who shared more about Mednefits and their thoughts on the event. All in all, it was a fruitful event for us and we look forward to be back again next year! 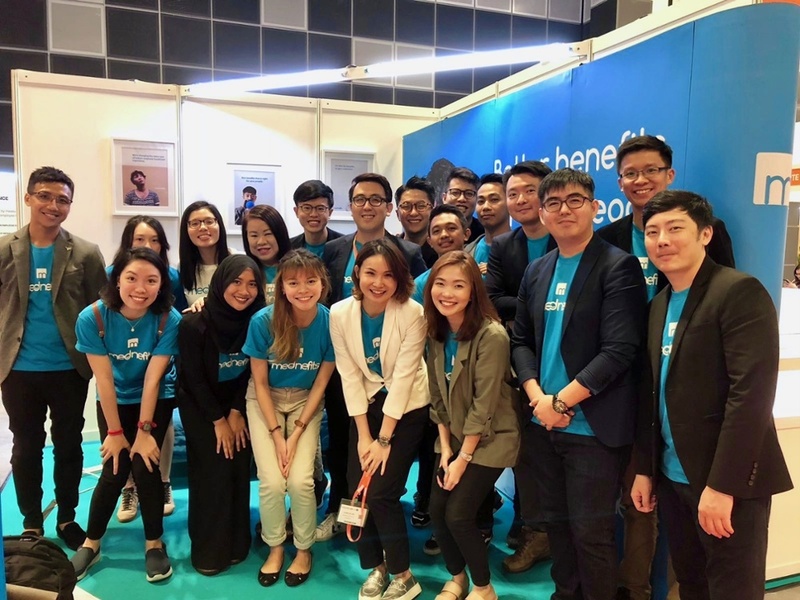 Held at Suntec Singapore Convention & Exhibition Centre on 9 & 10 May 2018, HR Summit & Expo Asia 2018 was organised by HRM Asia. The event brought over 4000 attendees from around the region together for 2 days of conferences and exhibitions. Learn how Mednefits is making affordable healthcare a reality for SMEs in Singapore. People Mentality HR Tech feature: An interview with Mednefits co-founder and CEO Chris Teo. I noticed a big problem that SMEs were facing while I was working at AXA. 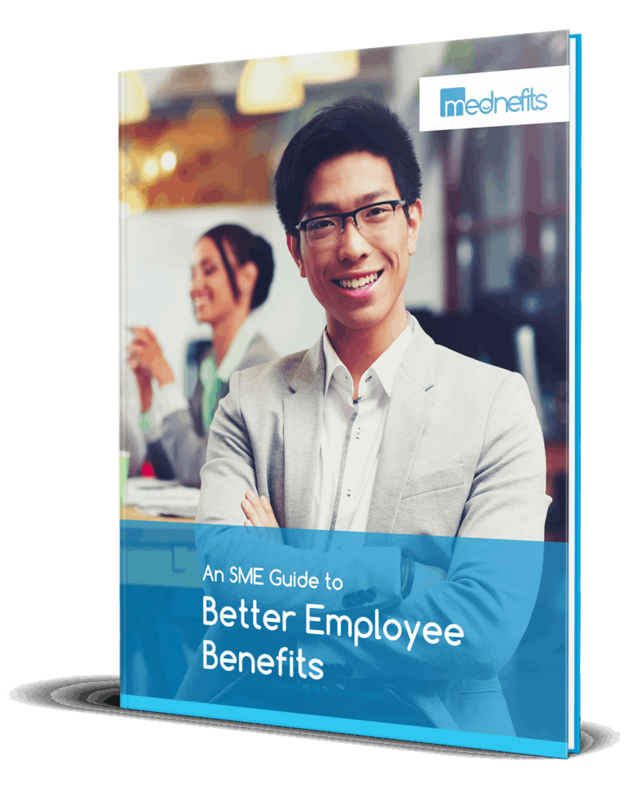 There was no affordable option for SMEs who wanted to provide employee benefits. For traditional insurance, to get outpatient coverage, they are required to purchase hospital insurance too. Many cannot afford to pay $500 per employee so they turn to reimbursement. Mednefits was started to provide affordable healthcare for employees. It is the short form of “Medical Benefits” and represents the simple, affordable and humanised solution we want to provide for the underserved market. One important thing would be to hire our in-house tech team at an earlier stage. With an outsourced tech provider, our goals are not aligned. We could not have developed and grown at this rate without an in-house design, product and tech team. When things got tough, what kept you going? It all boils down to solving the big problem. For 30 years, corporate healthcare hasn’t changed its one-size-fits-all solution. Every time we get a customer onto the Mednefits platform and help solve their problem, we get a boost in energy. Owners of SMEs and HR professionals who would like to offer their talents a different corporate healthcare experience, the kind of we want for ourselves and our loved ones. Corporate healthcare is a huge investment that many do not have control over. The yearly rising costs not only eats into the employees’ budget but the company’s profits as well. Let’s work together to redesign corporate healthcare and get the experience we want for ourselves and our loved ones. Reach out to us on our website or our social media platforms (Facebook, LinkedIn). 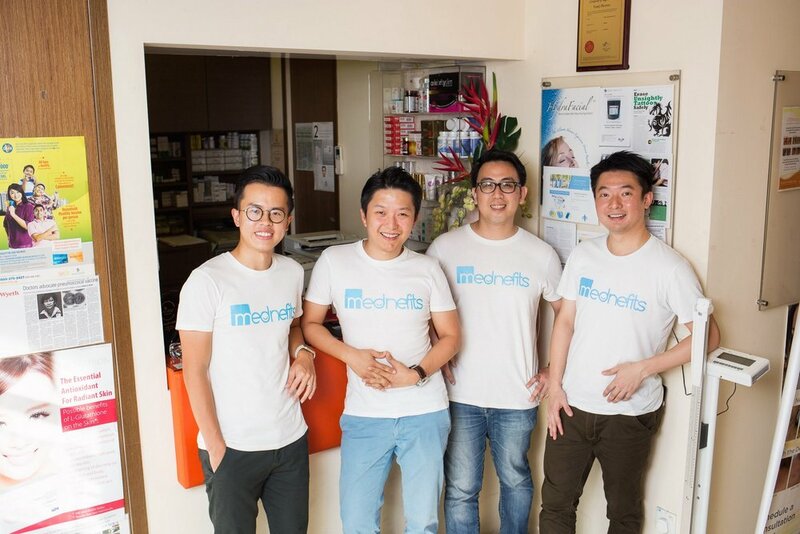 Find out how Mednefits is making affordable healthcare a reality for SMEs in Singapore. Adapted from the article “People Mentality HR Tech Feature #9 – Mednefits” originally published on People Mentality Inc. Despite the perception of the Singapore insurance industry to be all-encompassing, some gaps are still left unfilled. Compared to larger organisations, SMEs in Singapore do not have the advantage of size, making it near impossible for them to afford employee medical insurance. While working in the insurance industry, this problem came to the attention of Chris Teo and Clarence Zhang. The small size of SMEs caused them to be unable to enjoy corporate rates from healthcare professionals, and insurance companies were only willing to offer outpatient and inpatient insurance together as a costly set. Together with Hadiyanto Wibawa, the 3 friends set out to fill the missing piece of the puzzle, kicking off Mednefits in 2014. Pooling SMEs together via their digital platform, Mednefits is able to work out affordable plans with their healthcare partners. SMEs can utilise the platform at zero cost by renewing their insurance with Mednefits or for $99 per year for each employee. Mednefits customers are entitled to an array of benefits, some of which includes discounts for General Practitioners, Traditional Chinese Medicine and dental services. Over 15,000 employees from 180 SMEs have been reaping the benefits of the digital platform ever since it was established 3 years ago. Furthermore, Mednefits does not extract fees from healthcare professionals, to fully push the cost savings to the SMEs. Mednefits capitalises on technology to simplify and ease the access to healthcare. E-cards and healthcare providers search options are just some of the many features available to users of the Mednefits mobile application. Similarly, the digital platform allows hassle-free claims on the healthcare partner’s end. Verifying the patient’s identity and keeping track of accounts have become much easier for nurses who are busy multi-tasking. The latest feature from Mednefits is a credit platform for companies, which allows employees to use e-credits at establishments of participating healthcare partners. Employers are able to track employees’ claims in real-time, and no longer need to process paperwork for reimbursements. Technology gave them the ability to innovate and enhance their product offerings, but what is more significant is how it has empowered Mednefits to address the key issue faced by SMEs in Singapore. Adapted from the article “#SMETowkay: Making affordable healthcare for SMEs a reality” originally published on MCI Singapore. Amazon, Berkshire Hathaway and JPMorgan Chase are combining their forces in the hopes of bringing positive change to the healthcare industry. The 3 corporate giants have plans to form an independent healthcare company in the United States for their employees. In America, healthcare costs have been rapidly spiralling upwards, faster than that of wage increases and inflation. Average premiums for family coverage saw a 19% increase since 2012, and workers currently have to pay 30% of the premium – and this doesn’t include the deductibles and co-payments. The partnership materialised as the 3 friends Bezos, Buffett and Dimon engaged in discussions about providing employee insurance and the challenges they faced. They agreed that breaking down the complexities of health insurance, coupled with data on consumer choice could be the answer to their problems. They also mentioned that the initial focus would be trying to simplify care via the usage of technology. The potential gains of this collaboration among the 3 companies is huge – the announcement of the partnership was enough to shake up the industry, plunging the stocks of insurers and major health companies. Despite this, the number of employees the 3 companies have combined is just over a million. A large number, but pales in comparison to the tens of millions of Americans captured by large insurers and pharmacy benefit managers, which leads some to doubt if they could really disrupt the healthcare industry. While the plans for the independent healthcare company are still in its infancy stage, there have been speculations of the possible routes it could take. Some predictions include an “online health care dashboard that connects employees with the closest and best doctor”, suggesting that they may negotiate for corporate rates directly from healthcare providers. Another speculation is that the partnership may aim to make the whole process more efficient by bringing the “customer-facing, patient-facing thing into your smartphone”. Other major employers like Walmart and Caterpillar have also tried to tackle the problem of rising healthcare costs via directly working with health professionals or setting their own rules for drug coverage. Nevertheless, the difficulties of resolving the issue has been addressed by Catalyst for Payment Reform’s executive director, Suzanne Delbanco. She noted that in a market where a local hospital or medical group dominates, it will be very tough for employers desiring to take control of the soaring prices. The healthcare problem has not been a recent one for America, and we can only hope that the venture between Amazon, Berkshire Hathaway and JPMorgan will see some success in their endeavours. Adapted from the article “Amazon, Berkshire Hathaway and JPMorgan Team Up to Try to Disrupt Health Care” originally published on The New York Times. While the insurance market in Singapore may seem well served, one business segment may have fallen through the cracks. Unlike large enterprises and multinationals which offer both scale and volume, most small and medium-sized Enterprises (SMEs) struggle to find affordable and comprehensive healthcare plans. Former classmates Chris Teo and Clarence Zhang first spotted this gap while working in the insurance industry. They discovered that SMEs were underserved as most of them were too small to negotiate for a corporate rate with healthcare providers.